Program to analyse 2D Images and pictures of any kind. It can recognize and count objects (like algorithms from Buerker, Fuchs Rosenthal, Thoma, Schilling, Tuerk, Tennant) in an image but also calculate the distance and areas in it. The images can be imported from many sources (file, scanner, microscope, cam). 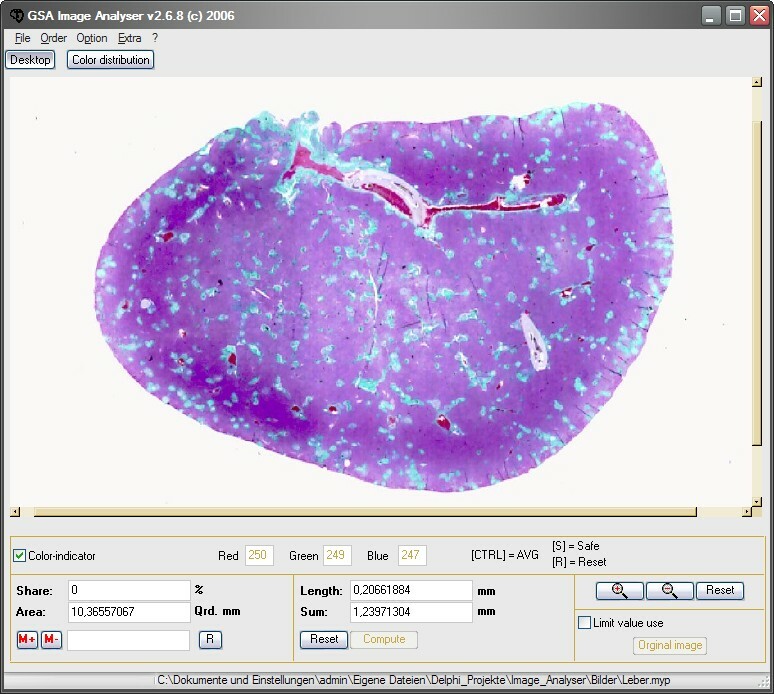 GSA Image Analyser is designed to solve many problems. It has been used for counting cells and calculating the size of plant roots. It is a program to extract images from web by searching with keywords. Qweas is providing links to GSA Image Analyser 3.7.3 as a courtesy, and makes no representations regarding GSA Image Analyser or any other applications or any information related thereto. Any questions, complaints or claims regarding this application GSA Image Analyser 3.7.3 must be directed to the appropriate software vendor. You may click the publisher link of GSA Image Analyser on the top of this page to get more details about the vendor.